Several years ago, a friend went on a medical mission to Honduras. Hundreds of eye glasses had been donated for the mission, and my friend’s job was to dispense the glasses to Hondurans who needed them. The process for doing so was not unlike what an optometrist does, administering a piecewise test comparing lens A and B repeatedly until narrowing in upon the optimal correction. The difference was the glasses were organized for that piecewise comparison rather than a medical instrument. My friend’s biggest challenge was once a Honduran had the first pair of glasses on, he was so awed by the improvement that he would stand up to leave, hugging and thanking her profusely, without trying any other glasses. My friend struggled through the language difference to explain that the first pair is just the starting point, and what she intended to give was much better still! 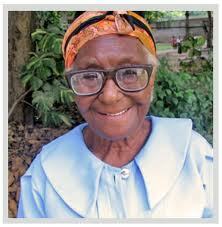 Once we have mustered the courage to make a big life change, we can be like the Honduran with the first pair of glasses. We are awed by how much better we can see and by all the new things we are able to do as a result. The life change is thrilling. Often we don’t realize this is just the starting point. We don’t see that God intends much more for us. After shaking one or two seriously harmful habits or patterns, it is tempting to feel we’re not perfect but we’re good enough. We set a low standard for ourselves and rationalize it as humility. To err is human. It’s hubris to try to be perfect. Some of us believe the struggle to make the right choices is central to the human condition, and that as long as we’re earnestly struggling, we’re following the playbook. No one is going to bat 1000. While that’s true, no athlete logs time in a batting cage for the sake of training time. Rather, athletes practice to improve performance. We shouldn’t struggle for the sake of struggling or acknowledge how we should act without actually doing it. We also need practice to improve our choices. This brings us face-to-face with the profound difference between intellectual assent to an ideal and earnest intent to become what God wants us to be. The “What Would Jesus Do?” movement popularized among Christian youth groups in the 1990s has been criticized and parodied, but it clearly makes the point that ultimately actions, not ideals, matter. When my choices fall short, there are consequences. Certainly there are consequences for myself, but God also is present to those consequences. He gives many gifts. All I had to do was reach out and lay my hand upon the abundance he offered, yet I was blind, distracted, or focused on the wrong thing. I reject a gift, and a chance to give God a reciprocal gift, when I accept struggling as good enough instead of doing the next right thing. Join the conversation. What change in your life looked like a destination but turned out to be a starting point? Copyright 2012 Stephanie Walker All rights reserved. Visit www.AcrossTraditions.com.